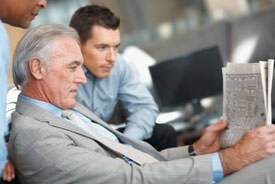 The Pisa Group offers cold calling and telemarketing services to help you reach new customers and increase newspaper subscriptions. We can develop a cold calling and telemarketing campaign that is tailor made to fit your specific needs. Each of our cold calling programs is designed to produce the volume of starts you need and the quality that you demand. From the sales presentation to market demographics, we will develop and utilize a sales program that accurately reflects your market. We pay particular attention to designing a sales presentation that emphasizes order retention. 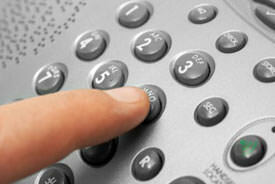 At The Pisa Group, we are an experienced telemarketing company. We understand what it takes to develop and implement a successful cold calling campaign. We are experienced in all types of incentive programs. In addition to cold call dialing, we offer conversion programs and reselling of stops. When developing a cold calling campaign, we can provide you with a myriad of reports that will enable you to determine your marketing strategy. Our cold calling programs are designed to be the “eyes and ears” for your market. To learn more about our cold calling and telemarketing services for newspaper subscription sales and renewals, please contact our call service center. A cold calling campaign is a type of direct marketing in which you are reaching out directly to specific members of your target market by personal phone calls. Therefore, whether or not it is effective depends on who you are targeting, what your offer is, and what you are trying to achieve. In most cases, cold calling can be an effective tactic when you are trying to reach a new market and many new customers because you can cover the entire market as a whole. When developing an effective cold calling campaign, it is important to keep your target market in mind. Therefore, it is important to develop a sales presentation that reflects this market. At The Pisa Group, we have experience developing effective cold calling campaigns and can work with you to create a campaign that fits your needs. Allows you to Choose the Customers to whom you will Market: With a cold calling campaign you can target the specific market and types of customers to whom you wish to sell. This can be more effective than waiting for new clients to call because it allows you to seek out your ideal customer. Can be Combined With the use of a Marketing Database: For even more effective cold calling campaigns, you can combine the use of a marketing database with a cold calling campaign. When doing this, you may look at characteristics that show ideal customers based on your past subscriptions and sales and focus cold calling efforts on customers that meet these characteristics. Offers Better Control Over your Marketing Efforts: Cold calling campaigns offer maximum control over your marketing efforts because you can decide when you want to make a campaign and how many potential customers you want to call. Therefore, you can decide to begin a campaign during certain times of the year where you typically see higher subscriptions in order to take better advantage of this natural increase or during a time when subscriptions are typically lower in order to balance out sales. To learn more about how our cold calling services can meet your needs, please contact us at The Pisa Group today.